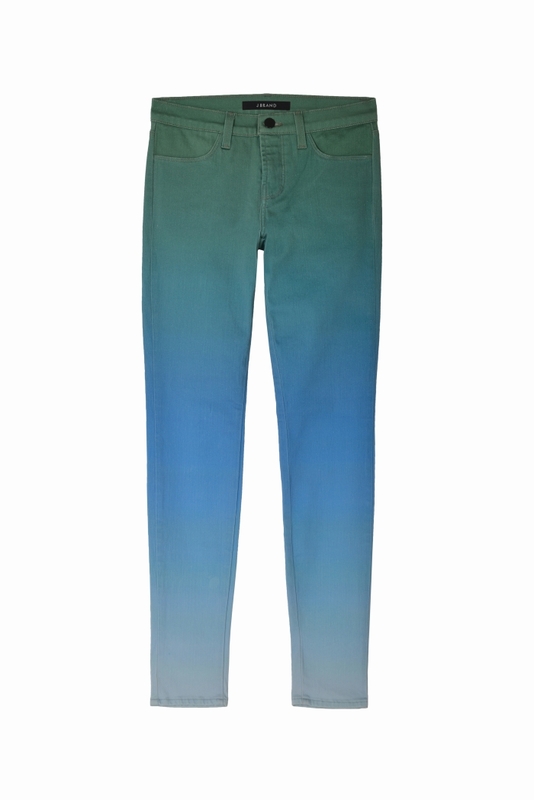 It was exceptionally cool to watch these jeans being color-sprayed! Yesterday I went to the launch of the Rob Pruitt x J Brand collaboration. Packed at Barney’s, there was hardly even any standing room. They had built a transparent cubicle inside the store to have Rob paint his jeans right then and there. It was really fascinating to watch. Barney’s New York, the luxury specialty retailer, announced an exclusive new denim collaboration, by renowned contemporary artist Rob Pruitt and J Brand Jeans, in partnership with Leitzes & Co. The limited edition collaboration draws inspiration from Pruitt’s iconic gradient paintings, which have been shown in museums and galleries around the world. 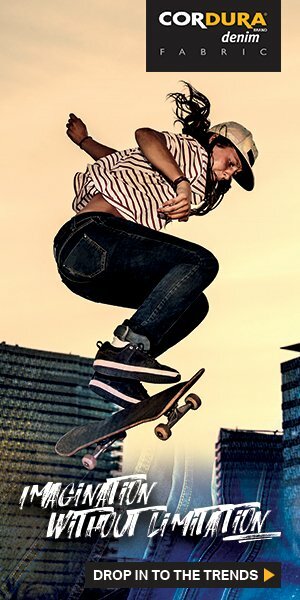 The collaboration, which was conceived in partnership with creative consultancy firm Leitzes & Co, consists of men’s and women’s jeans along with jeans jackets in unique dégradé colorways. 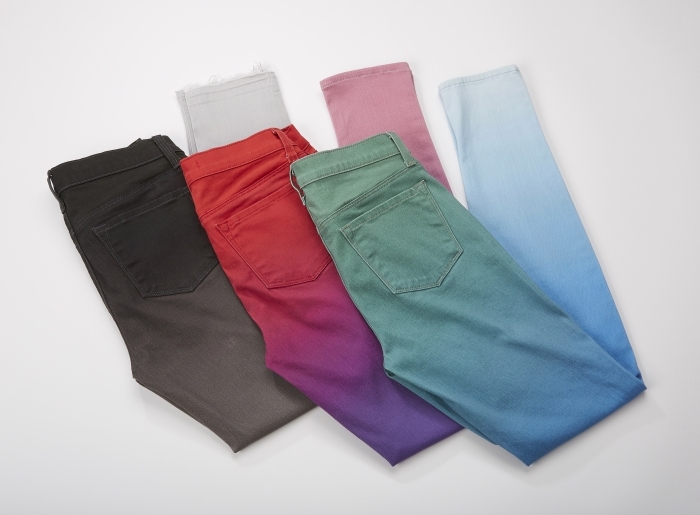 The collaboration is available in four jeans styles for women, all printed on J Brand’s signature Power Stretch denim fabric: light blue/green dégradé and red/purple dégradé; both in the 620 mid-rise super skinny fit, and ink/cobalt dégradé and black/grey dégradé; both in the mid-rise skinny fit with released hem. 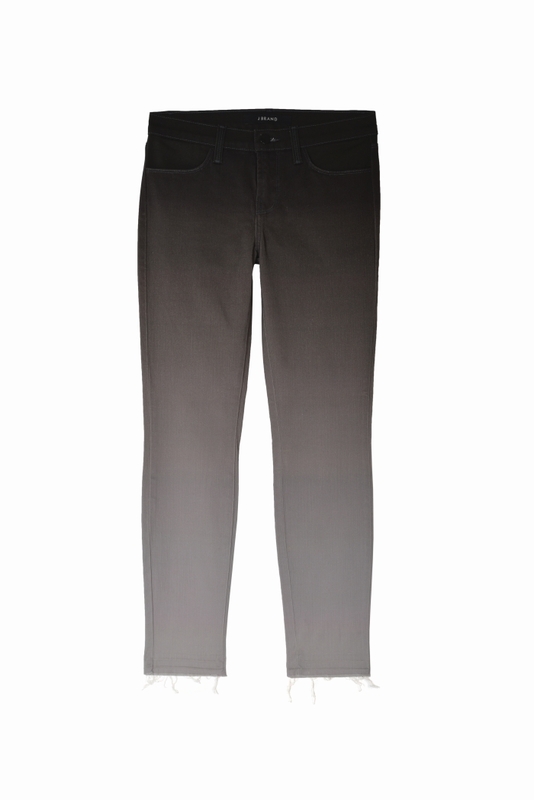 The two men’s jeans styles, printed on J Brand’s signature Mick skinny fit in stretch twill fabric come in black/grey dégradé and red/navy dégradé. Additionally, a men’s vintage washed slim Lowell jacket, hand-painted by Rob Pruitt in his studio, will also be available. 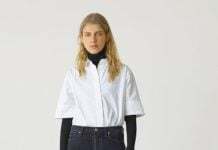 In addition to the jeans and jeans jackets that will be stocked in stores, Barney’s New York will host events in New York and Los Angeles where Pruitt will create bespoke, custom-painted jeans and jackets live on-site. Using a special spray booth, Pruitt will paint each piece of denim individually, creating a truly one-of-a-kind art experience. White or indigo mid-rise super-skinny women’s jeans and white or indigo oversized Darci women’s jackets will be available for bespoke painting by Rob Pruitt, along with select men’s styles. 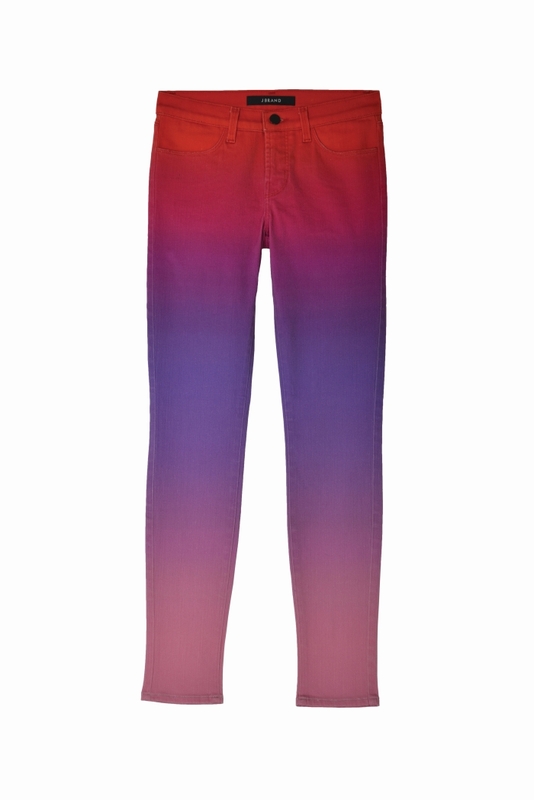 The Rob Pruitt J Brand collaboration is available at select Barney’s New York flagship stores and on Barneys.com.